Blend all ingredients for Dry Sugar Rub. Generously coat one side of each Alaska Salmon fillet with mixture. Heat oil in large heavy pan over medium-high heat. Carefully place salmon fillets in pan, seasoned side down. Cook about 2 minutes to sear; turn fillets over. Reduce heat to medium and continue cooking 6 to 8 minutes. Cook just until fish is opaque throughout. 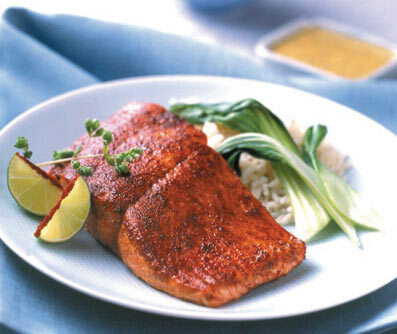 Serve salmon with mustard, if desired.